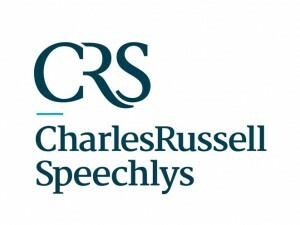 The Charles Russell Speechlys Community Fund was established to support existing services or facilities and new initiatives of non-profit organisations including charities, social enterprises, community groups and voluntary organisations which help people to gain confidence and skills and which provide opportunities for young people at a local level in Surrey with a specific focus within the Boroughs of Surrey Heath, Guildford, Waverley and Elmbridge. The Therapy Garden is a horticulture and education charity that uses gardening as a way of supporting and engaging adults and teenagers with learning, physical and mental health disabilities. This funding helped support the charity’s ‘Stroke of Genius’ project that offered therapeutic horticulture to a group of stroke survivors and their carers, thus providing survivors with gentle exercise whilst they are learning about gardening. Stroke sufferers often become isolated while they are recovering, but this project offers an opportunity to socialise and gain confidence. Challengers is charity dedicated to ensuring disabled children and young people, who are frequently marginalised from mainstream settings, have access to inclusive and high-quality play and leisure activities. This funding helped the support of the charity’s ‘Young Ambassadors’ project to achieve more engagement with siblings of disabled children and young people, and to bring to the forefront the voices of young carers. Funding was given for a particular group of carers who support ‘hard to reach’ disabled children and young people; the siblings. The Young Ambassadors were trained and supported before becoming a fully operative ambassador of the charity and for disabled people. In doing so, the Young Ambassadors were able to raise awareness and increase understanding of disability, and the opportunity to develop their CV and skills, through training provided by Challengers around disability, business, communication skills and career opportunities. 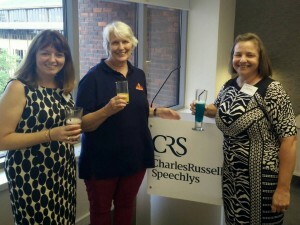 Read more about fund here in our Charles Russell Speechly’s blog post! We work business who want to give something back to their local communities to fund the charities and voluntary groups, providing vital services for local people and disadvantaged individuals. We give you a chance to connect with their local area and directly benefit causes based on you companies values, passions and interests; whether that be supporting older people, those with disabilities, helping young people with education and training or local sporting projects.